As soon as you drive into the InterContinental Beach, you see four-wheel-drive cars parked and behind them are at least three to five Jet Skies. Men surround their Jet Skies for hours under the sun looking out for people who are interested in renting one of their water bikes. A Jet Ski renter testing the water bike before a customer tries it. Jet Ski rental companies make approximately QR 200,000 a month, and now this amount has dropped by 80%, according to company owners. “There are days were we make zero profit,” said Bahraini Adel Al Dousari who owns NA Al Qatariya which is one of the fifteen companies that rents Jet Skies on the approximately 500 meters long beach which is located behind the InterContinental Hotel giving the beach the name, The InterContinental Beach. “People are traveling, and the weather is just too hot and humid for people to get into the water,” said Al Dousari. According to Al Dousari, the business profits most from March to June when everybody is working, and the weather is much cooler. “We can make up approximately QR 4000 on daily basis in approximately three hours,” said Al Dousari. He and other Jet Ski companies begin to stand at the beach from 3:00 pm to 6:00 pm, which no one is allowed to be Jet Skiing after. The price of a Jet Ski depends on how long you want to rent the water bike, and how well you can bargain. 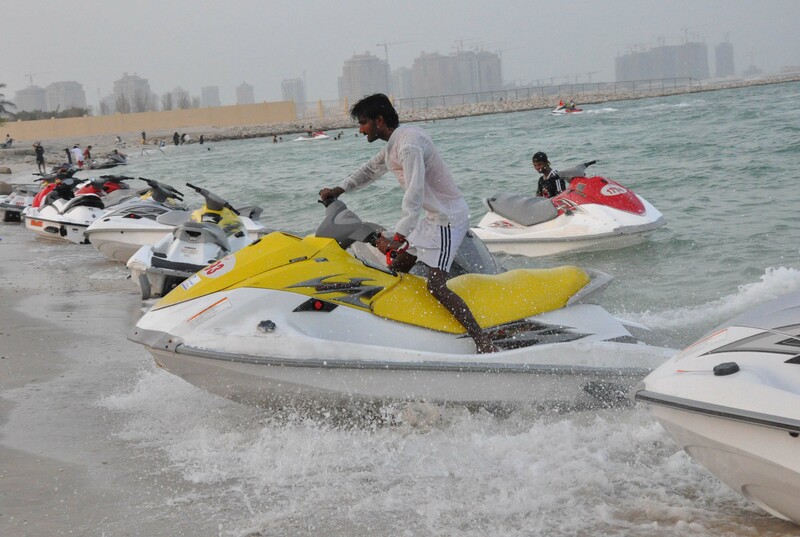 Usually, a Jet Ski costs approximately QR 150 for half an hour and approximately QR 200 to 250 for an hour. But for Dee Swanson, the weather is not a problem. “We came at 5:00 pm so the weather wasn’t that bad,” said Dee Swanson who drove the Jet Ski for the first time. 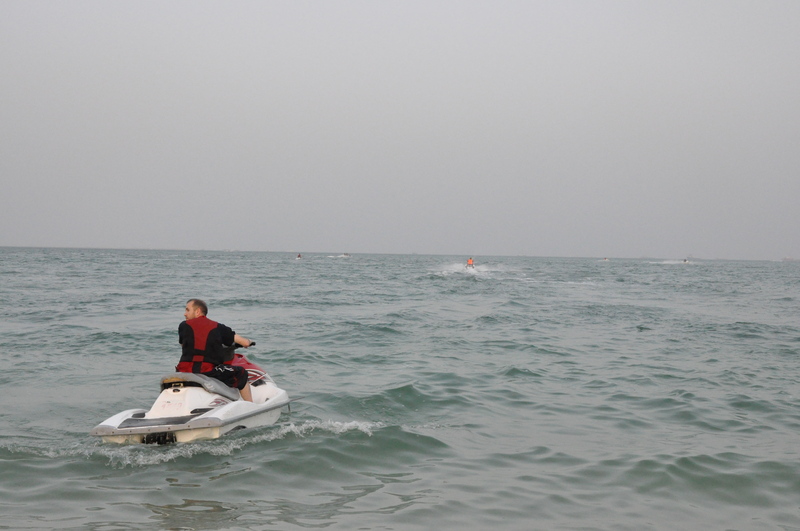 The Intercontinental Beach is the only public place in Doha that a person can rent a Jet Ski. “When we were at the Diplomatic Club, we saw people jet skiing and when we asked they said had to be members but then we were told that this place rents for the public,” said Swanson.